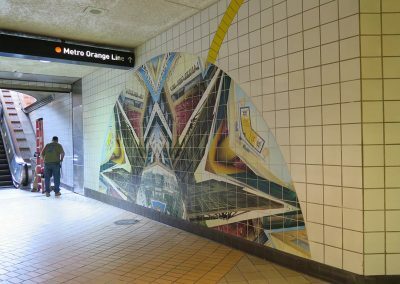 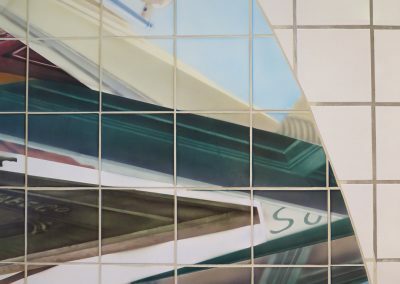 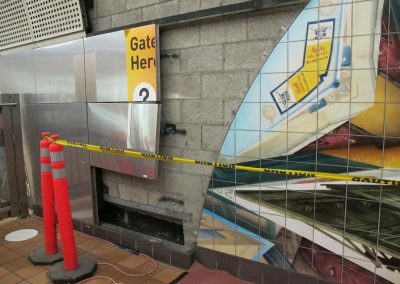 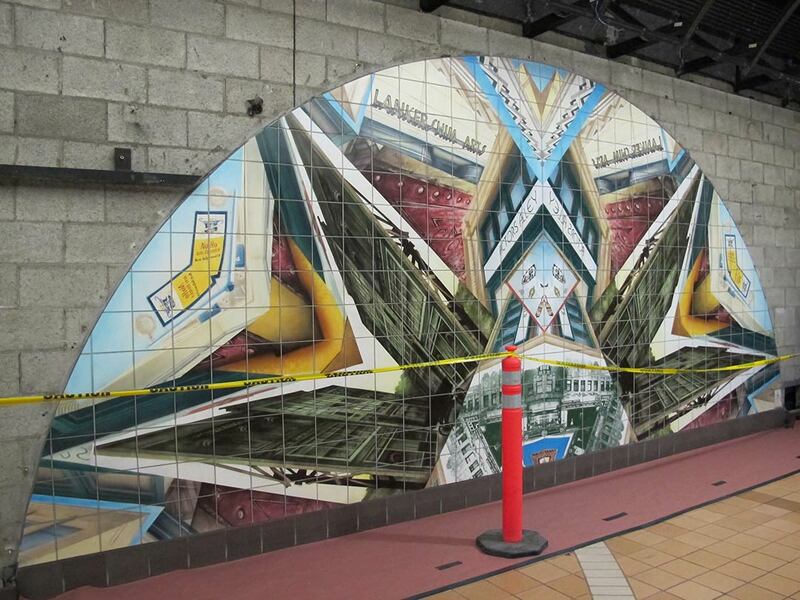 Skanska USA Civil contracted RLA for the removal and reinstallation of a site-specific mural by artist Anne Marie Karlsen from the North Hollywood Station. 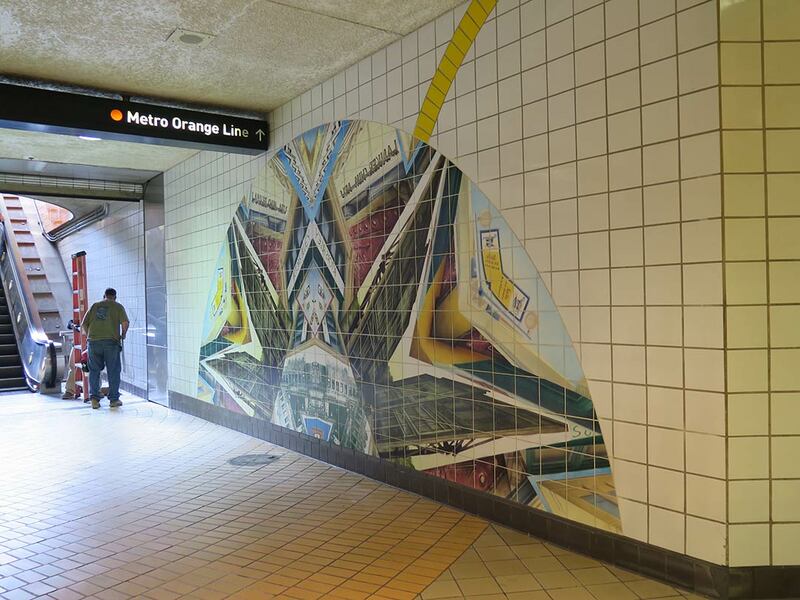 Created for the station, the Los Angeles County Metropolitan Transportation Authority requested that the work be disassembled to allow for an access tunnel that will conjoin two separate portions of the station. RLA was asked to assess the mural and provide strategies for its documentation, safe removal and packing, as well as preparing the new location for reinstallation and reinstalling the mural. 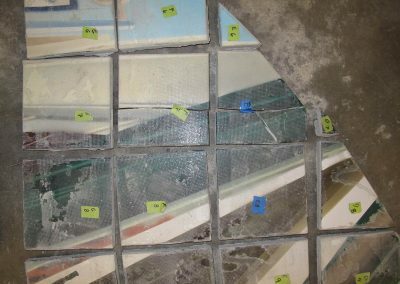 Consisting of approximately 430 Buchtal Bisque Tiles with a High Fire Majolica Glaze, the mural was deeply set into the concrete wall, requiring extensive excavation to properly salvage tiles. 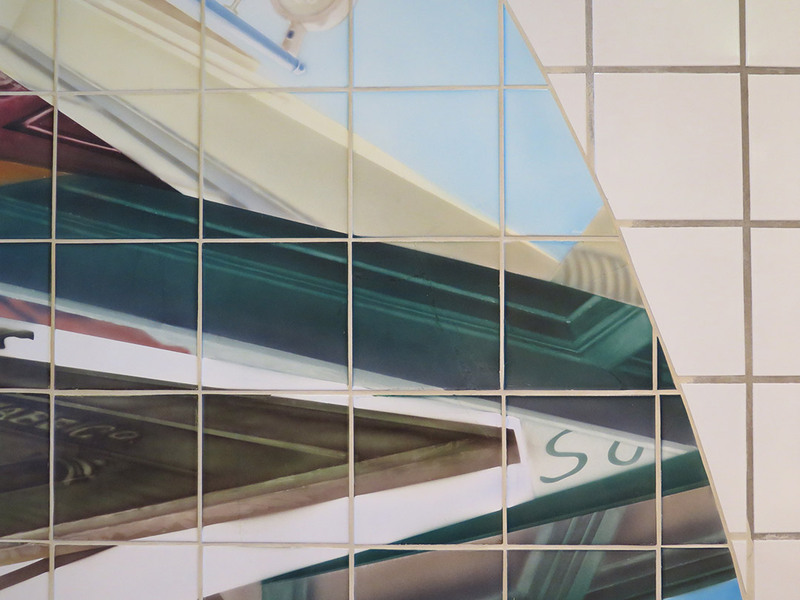 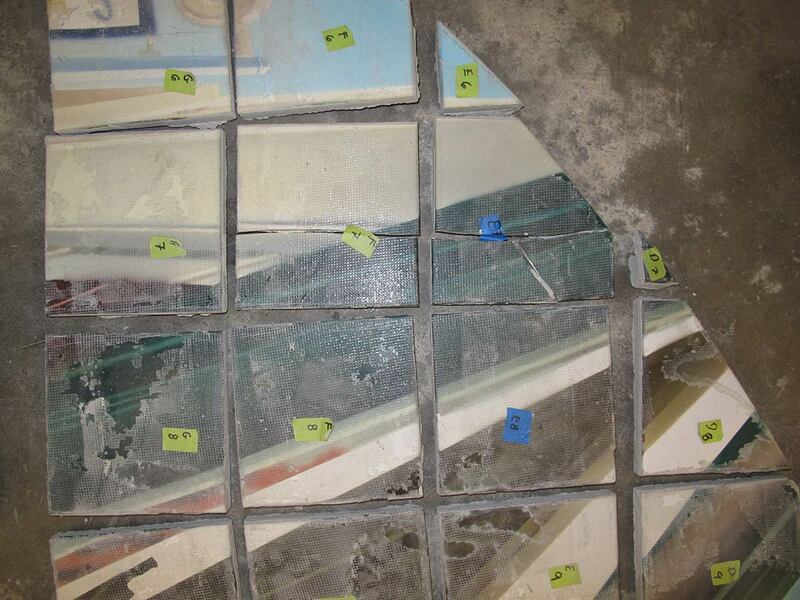 RLA removed the tiles as safely as possible to minimize breakage, and repaired minor breaks and/or losses to the artist’s approval. 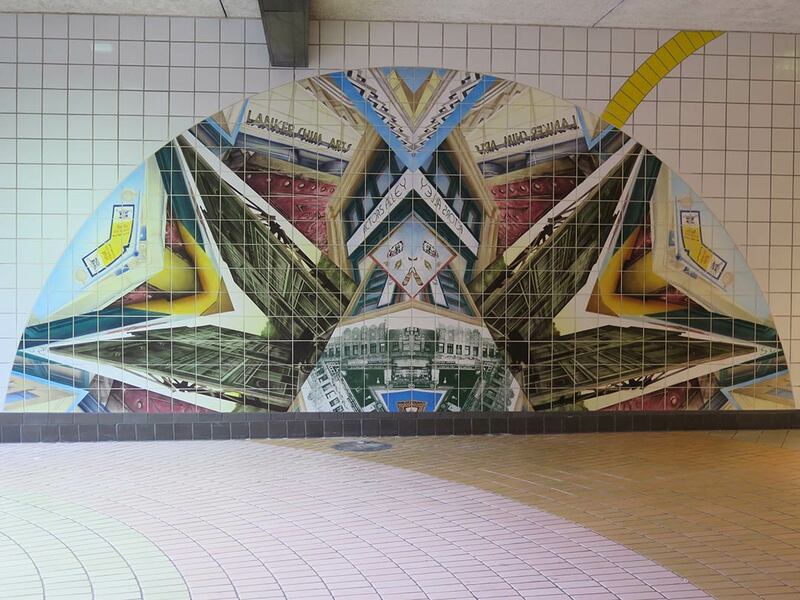 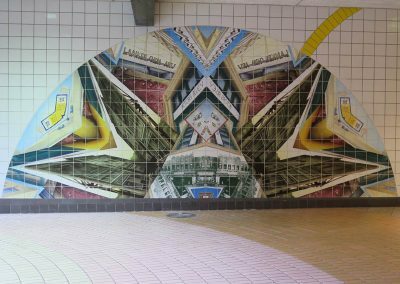 Under Skanska supervision, the team came back a year later and re-installed the mural in a new location within the station.